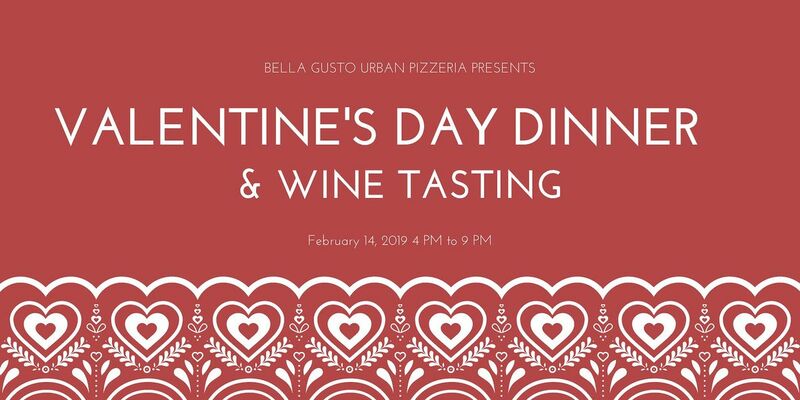 Couples will enjoy a delicious meal from the Bella Gusto menu, including one shared appetizer of choice, 2 entrees of choice, and one shared dessert of choice. 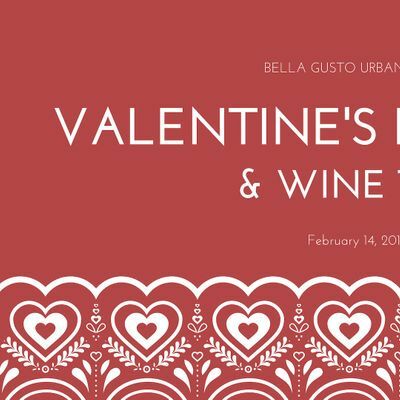 In addition to their meal, each person will be given three tastings of our newest wines, featuring a Prosecco, a Pinot Grigio, and a Merlot. Guests will be given the opportunity to purchase a bottle of their favorite wine at half price (a deal exclusive to this night only). 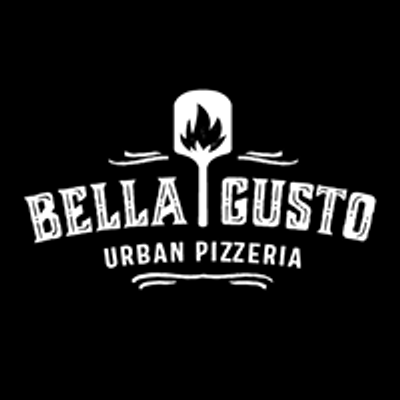 Once you purchase a ticket, you may make a reservation by clicking the blue "Book Now" button on the top right of our Facebook page: https://www.facebook.com/bellagustoaz/. Please include "Valentine's Day Dinner" and your email in the notes of the reservation when booking. Reservations will be taken from 4 PM to close on February 14, 2019. Spaces are limited.